Arkansas traveller Erin Enderlin and Tennessean Tara Thompson headline Nu Country TV with a Willie Nelson tribute on Saturday October 6 at 9 pm on Channel 31/Digital 44. Shotgun Willie, now 85, performs a double shot of his new songs to make it a triple treat in Behind Bars on our show that is repeated Sunday at 11.30 pm and Monday 3 pm. Expat Gippsland gaucho Gord Bamford also performs on the program, filmed and edited by Laith Graham, after two Australian tours this year. Victorian band The Mason Boys take us on time travel to an historic Upper Plenty horse trail riding farm on their debut. Novocastrian singer-songwriter Matt Scullion issues a road safety warning after the death of a local guitarist driving home from a concert. 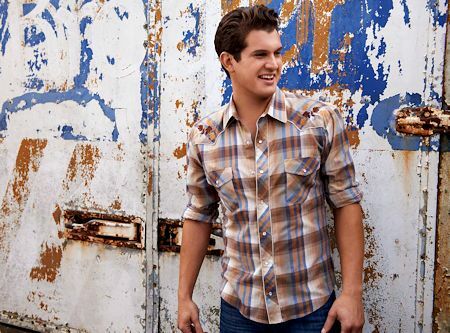 Californian Jon Pardi returns with another travel tale - with a happy ending. Erin Enderlin and Tennessean Tara Thompson perform an evocative tribute to Octogenarian mentor Willie Nelson in their Nu Country debut in Behind Bars. They showcased the impact of the Red Headed Stranger on their embryonic careers. Erin, now 36, has toured with Willie on his Country Throwdown tour and fellow outlaw Jamey Johnson who produced her second album Whiskeytown Crier. Alex Kline, who produced her debut disc and third album, also provided her namesake canine Patsy Cline in the video. It was apt casting as Willie wrote the Patsy Cline hit Crazy. Kline produced the track and provided all instrumentation except for Nelson's long-time harmonica ace Mickey Raphael. 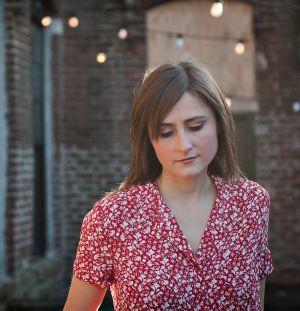 “My biggest hope for this song is that maybe someone will be listening and won't know one of the Willie songs referenced and go find it and fall in love with it the way I did,” Enderlin said. Enderlin's turn-of-phrase shines on the track as it seamlessly blends some of the most memorable Nelson titles and characters into verse like a vivid mosaic of the outlaw himself. “When I was four years old, my Papaw gave me four albums: Conway Twitty, The Statler Brothers, Kenny Rogers and Waylon & Willie,” Enderlin revealed. Thompson, born in Dolly Parton's hometown Pigeon Forge and a cousin of Loretta Lynn, is well cast. “He has a way of speaking to my soul and relieving all my worries,” Thompson, 28, explained. Willie Nelson hosted Farm Aid last month with Neil Young and is hanging in for his 45th July 4 picnic in Austin next year. So he exudes down home humour in his video for Heaven Is Closed from his 67th album The Last Man Standing that has produced five other organic clips. Willie also previewed his homage to late mate Frank Sinatra with Summer Wind from 68 th album My Way - his tribute to the fellow singing actor. In the 1980s Sinatra opened for Nelson at Las Vegas' Golden Nugget and they appeared together in a public service announcement for NASA's Space Foundation. Producer Buddy Cannon said Nelson's love for Sinatra's music goes back to his childhood. “Willie and Bobbie his sister, 80 years ago when they started playing music, they were playing everything,” Cannon revealed. Among the gems are Fly Me To The Moon, It Was A Very Good Year, Young At Heart, and a duet with Norah Jones on What Is This Thing Called Love. Willie also recorded with Irish star Van Morrison, 73, at the Church studio in Pittsburgh during his Outlaw tour in September. 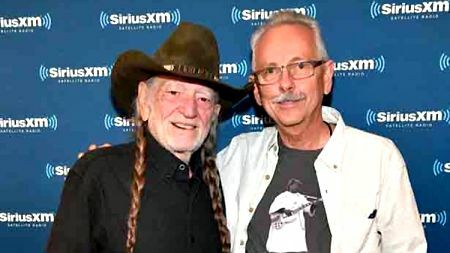 CLICK HERE for a Willie CD feature on The Last Man Standing in The Diary on July 2. They chose historic rural retreat - Uncle Nev's Trail Rides north of Melbourne at Upper Plenty - with its rustic charm. The popular equestrian ranch - replete with post rail gate way, milk cans and long line of cypress trees entrance - has been in lead singer Clint Stubbs family for three generations. As gateway to the Peachey patriarch's property at 1115 Wallan-Whittlesea road, it's hard to miss with scenic views of the Mount Disappointment State Forest. Not all of the 60 horses stabled at the trail ride HQ are featured in the vivid video but the historic still shots of the pioneer and family add to the charm of a farm with closest neighbours - freedom loving kangaroos, wombats, wallabies and echidnas. Feels Like Home - penned by guitarist vocalist Huc Richards - is an accessible entrée to a septet of radio friendly roots country narratives. The quintet hang their hats in Gisborne, Seymour, King Lake, Upper Plenty and Erica when not on the road. CLICK HERE for our Mason Boys CD feature in The Diary on September 3. Gippsland born, latter day Canadian singer-songwriter Gord Bamford returned home for the 20th Deni Ute Muster last month with seven time Grammy winner Carrie Underwood. This week he performs Neon Smoke from his ninth album Living On Summertime. Gord, now 41, left his Traralgon home at the age of five with singer mum Marilyn and sister Twila for the wilds of Alberta in Canada. 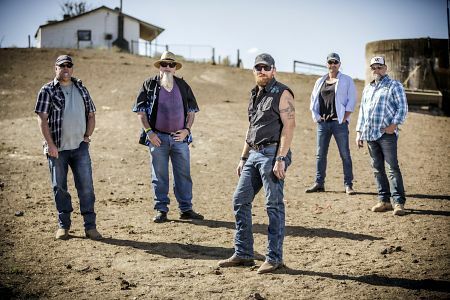 But his passion for his homeland sparked two Australian tours this year including CMC Rocks Queensland and famed Village Green, Mulgrave, on March 24 with Kevin Bennett. “I have been looking forward to getting back to Oz since I left,” Gord revealed. Bamford joins Tasmanians The Wolfe Brothers on their Country Heart tour with New Zealand Female Artist winner Jody Direen. Gord plans to take The Wolfe Brothers to Canada on tour. Newcastle singer-songwriter Matt Scullion returns to our show with his salient safety message in his video for Roadside Cross from his second solo album I'm Just A Song. “The opening scene of the video is a shot of Michael Cowderoy's cross,” Scullion revealed. “A great musician and good friend of mine that, unfortunately, met his end whilst driving to his girlfriend's place after a show, on the New England Highway, south of Tamworth. “It's hard to drive past these scenes when you don't know someone, let alone when you do, sadly. “If this song can get just a few people to slow down and to not look at their phones whilst driving, then it's served its purpose. Matt, originally from Milton/Ulladulla on the NSW South Coast, spends most his life on the road as a musician playing one night stands and writing hits for many peers. While in Darwin he played in the band Bronwyn Bishop's Love Children before six years in Nashville. Matt lives in Newcastle when not on the road and appeared in Paul Hogan-Shane Jacobsen movie Charlie & Boots that also featured his song Giddy Up from his previous album Put It Down To Experience. Californian Jon Pardi's journey to be home with his belle had a happier ending. Pardi logged up over time as he worked hard to be reunited with his long suffering sweetheart in his video for Night Shift. 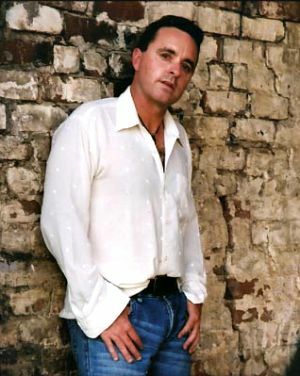 It's the fifth single on 33-year-old Jon's second album California Sunrise that debuted at No. 1 on Billboard with 24,000 copies sold. Pardi was the permanent opening act on Texan Miranda Lambert's Livin' Like Hippies tour. Other supports include Brent Cobb, Turnpike Troubadours , Lucie Silvas, the Steel Woods, Sunny Sweeney, Ashley McBryde and Charlie Worsham. Pardi also appeared on Nu Country with Heartache On The Dance Floor, Dirt On My Boots, Head Over Boots, She Ain't In It, Back On The Back Roads and What I Can't Put Down . 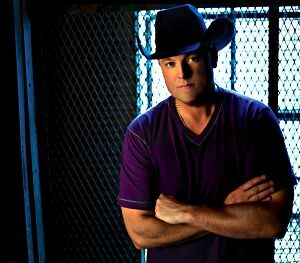 Pardi grew up in Dixon but ignited his career at Butte Junior College in Chico where he started Northern Comfort and moved to Nashville on February 23, 2008, with his dog, PA system and $7,000 savings. He used a credit card to pay for lifeguard training to earn money until landing a publishing deal 18 months later.